Dear enthusiast media: games trump features. Nintendo of America isn't making it easy, and doesn't seem to care. 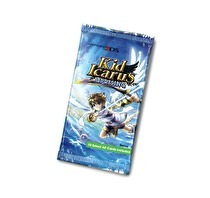 Kid Icarus: Uprising came out in March. Even before the title hit store shelves, the official game trailers teased an AR card collecting element included in the game. Nintendo continued to whet the appetite of players hungry for AR cards by including sample cards with every copy of the game. We try to make sense out of Nintendo's launch windows. Astute North American Nintendo fans might have noticed something different about Nintendo of America's Wii U release list when compared to Europe and Japan's. According to the North American release list, Pikmin 3, The Wonderful 101 (formerly Project P-100), and Wii Fit U are all slated to come out before the end of March 2013. At a minimum, you're getting your cable, Netflix, and Hulu all in one place. Awesome, right? 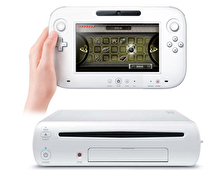 Nintendo TVii was unveiled last week for the Wii U and most responses seem to range from "Oh, neat" to "Well, that's dumb." After thinking about it and talking with some of the folks at Nintendo behind the service, I'm somewhat of a believer in the potential of Nintendo TVii, even if I have some mild pessimism about its wide reach. Is Nintendo leaving behind the audience that Wii Sports created? The complexities of Pokémon never cease to amaze.